WordPress is free blogging software you can use to claim your brand name, company name, or personal name. Below are my best practices for how to use WordPress for online reputation management (ORM). These are the exact steps we use for each of our clients and while there is no guarantee that your WordPress blog will rank for your keyword, if you follow these steps you’ll be giving you or your company the best chance for long term success. Getting your keyword (your name, brand name, or company name) in the URL is one of the most important SEO signals Google picks up on. If you can’t get your exact name because someone else has already claimed it, then add the number “1” like I’ve done in the example above, or consider adding a middle initial. So, aim for exact match to your keyword and if you can’t get an exact match, include the keyword along with a brief suffix of a number or word. 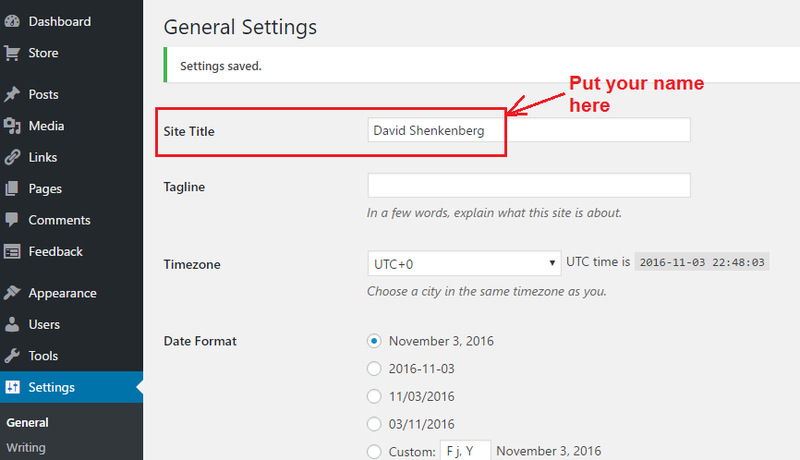 In the Wordpress backend, go to Settings >> General and enter your keyword as the site title. Make sure to save. This becomes the SEO Title for the site home page and is another important ranking signal to Google. 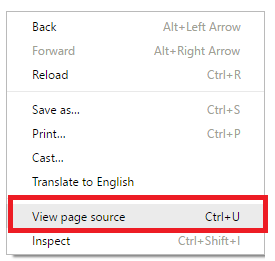 You can check that you’ve done it right by looking at the live version of your site (yourkeyword.wordpress.com) and making sure the title in the tab of your browser matches what you set as the site title. On many WordPress themes, the H1 will by default be the same as your site title, so you don’t have to worry about doing this. 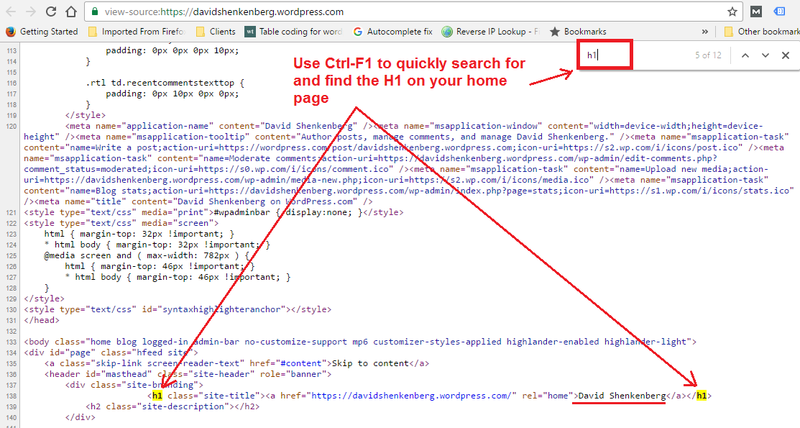 To add an <H1> tag in WordPress’s content editor, follow along below. First, I like to have the keyword included within the H1 and whether you opt to have it exactly match your keyword is up to you. 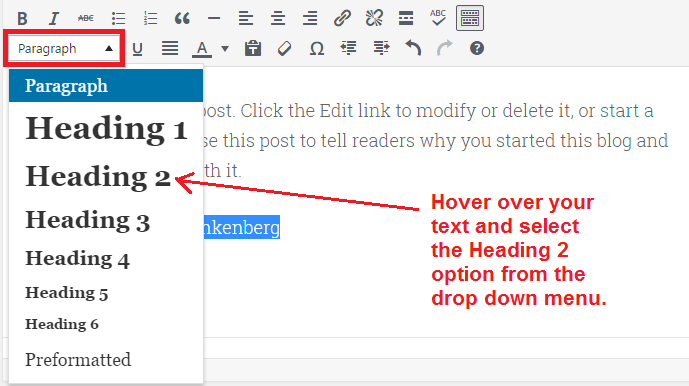 After you highlight the text you want to use for your H1 tag, click the “Paragraph” option with the downward arrow, then choose the Heading 1 option as seen below. 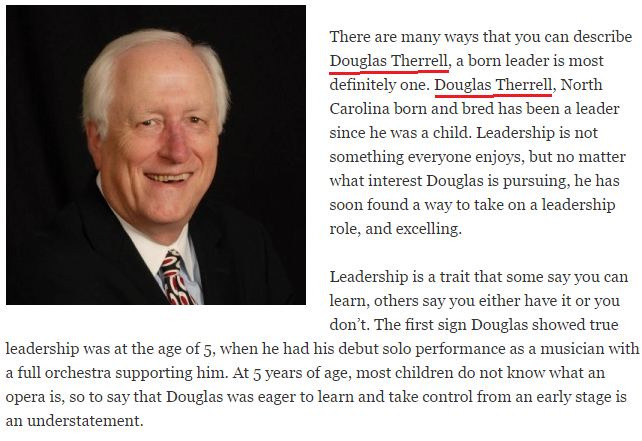 This makes the highlighted text an <H1>. To manually check your HTML code, right-click on the live version of your home page and view the page source. Then use F1 to search for the H1 tag and confirm your name is within the opening and closing H1 brackets. Ideally, there will only be one H1 on your site’s home page. Some themes (like the one I installed above) assign additional H1’s to widget titles, footer titles, etc, so you can either leave it or hire a web designer to remove the code. On a free WordPress.com site, I wouldn’t worry about it too much. As long as you’re getting your name into the first H1 on the page – that’s what’s important. We never know if Google is going to rank the home page or a single blog post or both, so we always put your keyword first in each blog post we add to your Wordpress.com site. 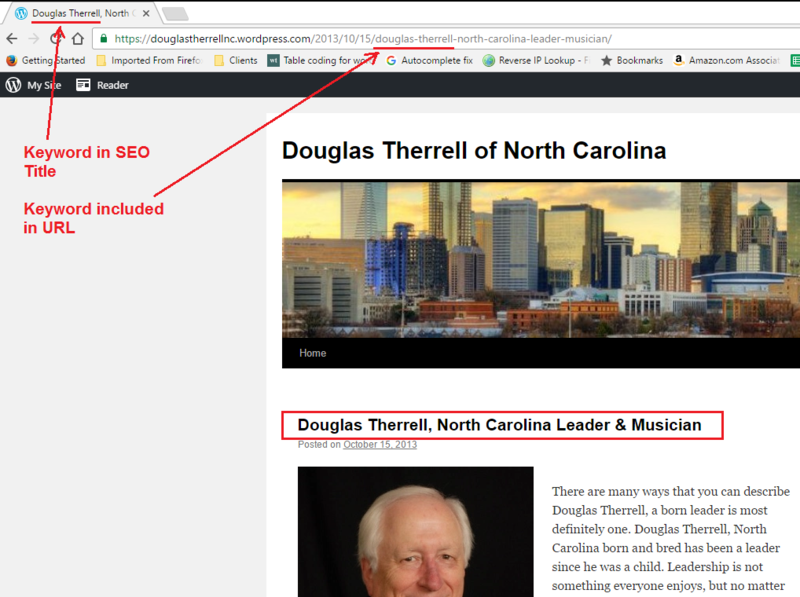 By doing so, you can see in the image how WordPress also puts your name in the SEO title and URL, so each blog post sends multiple signals to Google that it is about you. For some clients, we’ll see multiple page 1 listings being taken up by their WordPress blog and blog posts. That’s why it’s good practice to put your keyword in each blog post your write (or have someone else write). If you don’t wan’t to write content for your blog yourself, you can hire writers on Upwork or use a content writing service such as The Content Authority or Text Broker. Expect to pay about .01 or .02 per word if you want inexpensive content. I recommend sharing every single blog post you write on your social media sites. As a rule of thumb, I always like the keyword in the first sentence, preferably as the first thing in the first sentence. In the image above, we put the client name twice, which is more than enough for a 500 word article. You never want to be spammy – usually I just insert the full name or business name once or twice in a 500-1,000 word article. While not as important as your <H1> tag, I like to use the H2 to drive home the keyword. I don’t use the keyword itself, I use a variation. If the client is Joe Smith, the <H2> might be “Joe Smith – Early Years” or “Joe Smith’s Steps For Perfect Pasta.” This is just my preference. On the website example above, we linked to the client’s Facebook, Pinterest, and Twitter sites from the blogroll on the sidebar of the site. You can also add your main business website, Youtube channel, or any other assets you want to promote. I typically don’t like to add more than 4-5 outbound links. It doesn’t matter if you put them on the sidebar, a footer, or a standalone page, just make sure you include them as this not only helps promote the social sites, but it also signals to Google that your current WordPress.com site is associated with you or company. What you are doing is telling Google this is your own little intranet. WordPress.com is a very high domain authority site, which translates to great ranking ability in Google, especially for individuals. The more content you add to your site, the stronger you’ll make it and the better chances you’ll have for getting multiple URLs to rank when you Google your keyword. Now that you know exactly how to build your WordPress.com site for online reputation management, use link building to help move it up in search results.